Tampa Bay & Company has hired Santiago Corrada as its new president and chief executive officer. Corrada is expected to start in May. “We are confident that Santiago’s abilities, experience and diverse background will benefit Tampa Bay & Company,” said Jim Dean, chairman of Tampa Bay & Company’s board of directors. 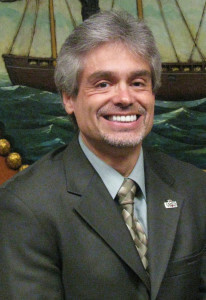 Corrada currently serves as chief of staff for the city of Tampa, where he coordinates and integrates the efforts of more than 50 city departments and divisions. He brings 20-plus years of public service and management experience to the position. Additionally, in his time with city government, Corrada has participated in bidding and hosting efforts for large meetings and groups including Super Bowl XLIII and the 2012 Republican National Convention. He has also served as the convention center, tourism, recreation and cultural arts administrator directly overseeing the day-to-day operations of the Tampa Convention Center.